Cryptocurrencies are that hot new asset everyone wants to own! If we understand that their value increased for 300% in just two months, it is easy to understand that no one is interested in oil or Apple stocks – it is all about Bitcoin, Ethereum and Ripple! The main issue with cryptocurrencies is that they are fairly new asset, that emerged less than 10 years ago. For this reason it is hard to make any proper predictions based on the past performance. Also, they are surrounded by a veil of mysteries and some of them are even not regulated or are banned. How to Trade Currencies the Safe Way? Still, if there ever was a moment to trade currencies it is right now. The prices are reaching all.time highs. However, owning assets like this costs a lot of money, but there is also an alternative. Some binary options brokers, like IQoption offer binary trading with Bitcoin. This basically means that you never have to actually own a bitcoin, but can simply make an investment based on the predicted price. This means that smaller investors can also participate in the crypto fever that is shaking the world of financial trading. Considering that the most popular cryptocurrency – Bitcoin, rose in price for 160% in 2 months, and Ethereum experienced 439% growth, it is easy to see that there is a plentiful of investing opportunities in this new market. These numbers are proof not only for endless investing opportunities, but also indicate that there might be a special situation going on. This situation is known as bubble – an event that occurs when prices grow as high as in this case. This situation is not something that lasts forever, and the bubble can explode at any time. Of course, in case you don’t own cryptocurrency assets but are simply trading them with binary options, you can also make money when the prices fall. These price corrections happen all the time in the world of cryptocurrencies trading. For example, the price of the bitcoin was $2,700 and then it fell to $2000 within few weeks. Then it slowly went back up to $2,850. These price fluctuations can cause a lot of headache for asset owners, but not necessarily for asset traders. The history data for cryptocurrencies is, as already mentioned, is very limited. However, it is considered that the last bubble represents the rebirth of cryptocurrencies, and that it won’t burst anytime soon. 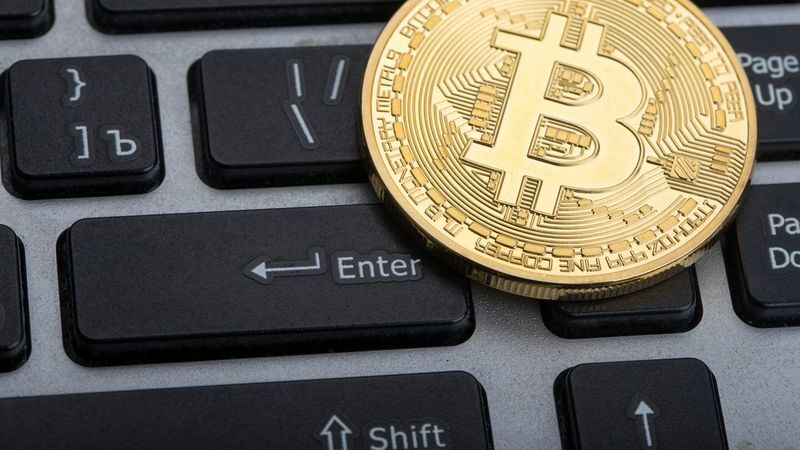 This opinion is strongly supported by the fact that Bitcoin is not only cryptocurrency on the rise, as other experience rapid growth as well. Also, new currencies such as Ethereum and Ripple are offering many technologically advanced innovations for even more dynamic investing opportunities. With cryptocurrencies, the public got a chance to invest in technology with great potential. Are Cryptocurrencies Worth the Money? One of the main issues when it comes to estimating a price in cryptocurrencies is that the financial markets were never before faced with a product like this. There might not be worth all this money, but at the same time they may be worth much more. When it comes to cryptocurrencies, many predictions are mere guesses. They can be based on historical data or maybe trends in other similar markets like currency market. However, they may or may not be true. Just like with every other asset, it is important for investors to get familiar with, which can be quite hard as cryptocurrencies are a lot different than, for example, publicly traded companies. Cryptocurrencies have experiences rapid growth and a lot of rapid fall in the past. The current bubble can be justified, but can also be artificially caused by great public interest. Great alternative to actually owning a bitcoin is trading its value on binary options or forex markets. Generally speaking, this type of trading is considered to be more suitable for beginners who are still getting familiar with the market. Tips To Choose The Right Online Broker!